Apropos the Henderson medals at the start of this post. I had the box of issue for this Zulu War medal in my hand along with his Natal 1906 Bambatha Medal and his CMG - sadly the lady didn't want to part with them despite my telling her that I know who has the Zulu War medal. Such is life I'm afraid - at least these aforementioned are still with the family out in the Dargle. 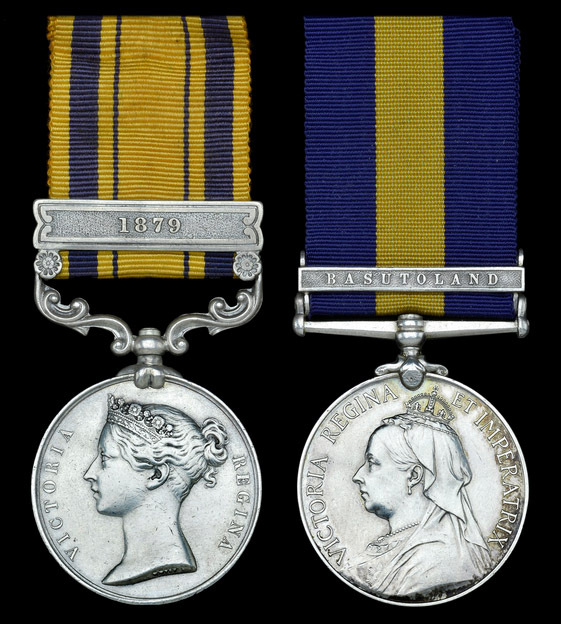 Just watched this medal reach a hammer price of £6,000 (the same as a casualty sold just a few moments earlier). The Disaster of the Battle of Isandhlwana 22/1/79 Zulu War 1879 as told by Captain Walter H. Stafford a survivor of the Disaster and who was Captain of the 1st Battn. 1st Reg. of Natal Native Contingent. - January 1938. I will be 80 years of age in a few months and one of the very few European Survivors of the Isandhlwana Disaster during the Zulu War 1879. In response to many requests I am writing the account of my personal experience in the Zulu War 1879 and referring to events prior to the battle of Isandhlwana and the terrible Disaster which befell the British forces on the 22nd January in that year. I do not remember reading an account by a survivor and it is for that reason that I [am] acceding to the requests to tell of what happened when I was a lad of twenty years. My decision was not taken for the sake of bravado and the boyish adventures have seldom been related by me. The whole of my life has been an outdoor one and I have by force of circumstances been compelled to practically live on the saddle as far back as I can remember and had the hard farm life experienced by the sons [of] those settlers who arrived at Port Natal in 1850 by the Minerva not been my lot I would not have been here to tell the tale. Everything seems to come back to me and the account is truthful and without exaggeration. In July 1878 the Powerful Zulu Chief Cetywayo entered British Territory in Natal and carried off two Native women, British Subjects, and put them to death. The usual explanation was demanded and the truculent attitude of the Zulu Chief caused Sir Bartle Frere to issue instructions to Lt. General Lord Chelmsford to prepare for an emergency. The Zulu Chief had long been itching to drive the white man into the Sea and spirit of Tahaka, the mightiest of all the Kings who had conquered and tramped on every black nation within hundreds of miles, still prevailed with the Zulu Impis. The long looked for opportunity had arrived and Cetywayo’s great army was in that state of preparation that only a general under Tahaka and Cetywayo could make it. The Council of war was summoned and it was decided there and then and once and for all, to Bulala Abatakti (to kill the devils). That the position was grave there is not the slightest doubt. Natal was in imminent danger of being over run and there was nothing to stop the black horde except a handful of white troops. Lord Chelmsford was instructed to stem the mighty armies which were thirsting for the blood of the hated white man. Mounted Volunteer corps were formed and also native Contingents with white officers and N.C. officers. About this time I was engaged in transport riding between Durban and Maritzburg and during a visit to some friends of the late Captain Adjutant G. Shepstone got acquainted with this gentleman. He offered me Fifteen shillings per day and after the War a farm in Zululand. I was eventually organised at the old Drill hall in Maritzburg and as a Lieutenant and placed under the Command of the late Captain Pailley. A few days later my friend and companion to be Harry Davis arrived in Maritzburg and also became enrolled in the Natal Native Contingent. Fort Napier was the scene of great activity and we turned out every morning for a course of drill instruction. It was decided that Krantzkop was to be the Head Quarters to which place the Magistrate would send the enrolled natives to be formed into Companies and Contingents. On the 24th December 1878 we left Maritzburg on trek. It was a Tango outfit. The oxen were mostly from the Free State improperly trained and the drivers and voorloopers all inexperienced so the difficulty of getting the column along with the loaded wagons well can be imagined by those who have had experience of ox Wagon Transport. The late Captain Montgomery from Mid-Illovo was Commandant in Charge and he was only too glad of my experience in ox transport and therefore placed the transport into my charge. When we arrived at Krantzkop the oxen from the Free State which were unacclimatised commenced to die like flies from Red-Water and by the time the Natal Native Contingent had its full Compliment of men there was very little left of the oxen. Drilling was indulged in daily which was to me always an amusing performance. The monotony of camp life was relieved for a few days as I was ordered to Greytown to buy up salted oxen for the Government but my visit there was short lived as I was recalled to head quarters and on my arrival was congratulated by Captain Pailly. “What, on buying oxen?” I said. He then acquainted me with the fact the previous night orders contained my promotion to the rank of Captain. After receiving the Commandant’s congratulations, he informed me I was to be placed in charge of the Amangwana tribe some 150 strong and that a flying column of seven such companies had to enter Zululand and that my company was also to accompany this Column. The following morning we were once more on the move and joined Colonel Durnford’s column at Burring Hotel about nine miles from Greytown. As far as I can recollect the following officers, whose names recall many old Natal and East-Griqualand families, were in charge of different native companies - Charlie Raw, Wyalt Vouse (? ), Nourse, Barton, Harry Davis, Henderson and myself. Joe Lister and Wallace Erskine were amongst the Lieutenants and Andrews and some N.C. Officers. On a Sunday evening the column halted at Helpmakaar and the following morning saw us camped in enemy territory on a flat across the river. There was no Laager and I felt at the time that the little column could be wiped out of existence unless some provisions could be made for defence. That evening was the Eve preceding the terrible tragedy of Isandhlwana which was to be enacted next day. It comes back again to my memory I was ordered to place a picket and after having done so was summoned to the Colonel’s tent, Colonels Durnford and Shepstone and “Tom” the Colonel’s Cook were present. I was also surprised to see Wally Erskine who was on Picket duty in the tent also. Colonel Durnford informed me that the native picket in Erskine’s charge had refused to remain at their post, although this news was disagreeable it was not altogether a surprise to one who had been brought up amongst the Natal natives. The names Tahaka and Cetywayo were terrifying to these poor devils, for as far as they could remember the native abafazi (woman) had used those names to frighten the children when they became unruly and they had never been allowed to forget the mighty deeds performed by the Zulu armies. I might mention that the Amangwana regiment of which I was in charge were Chief Nowadis men and were drawn from the district of Little Tugela. Harry Davis was in charge of Jantjies Hlubis. It has always been my opinion that the formation of the native Contingents as a fighting unit was a force. The terror of Zulu Impis held them spell bound and to their minds the Zulu army was invincible. After placing Lieutenant Andrews in charge of a fresh picket the rest of the evening was spent over a game of cards. The popular games in those days were ‘Twenty-five’ and ‘All -four’. A chap by name Lieutenant Black who had not been long out in this Country was the loser and I remember that officer staking his farm in Zululand against his opponents prospective piece of ground. I jokingly told him that the only plot of ground he would ever get in Zululand [was] one measuring seven foot by four feet. There is many a true word said in jest, and sad to relate the poor fellow fell from a Zulu Assegai about thirteen hours later at the Massacre of Isandhlwana. We had not long turned in when orders were received to break up camp owing to a despatch come through with Lieutenant Cochrane to the effect that the column was to move up to Isandhlwana. At daybreak the whole column was well under way and it must have been between 8.30 a.m. and 9 a.m. that we arrived at the fatal spot when, I understand the movements of large bodies of the enemy had already been reported by the scouts. The horses had been off-saddled and breakfast was hardly thought of when Captain Barton was Senior Captain was sent for by Colonel Durnford. Captain Barton could not be found at the moment, so I duly reported when Colonel Durnford instructed me to accompany him. Together we rode eastwards through the camp to where the artillery were Colonel Pulleine were posted (sic). Colonel Durnford and Captain Shepstone entered Pulleine’s tent whilst I remained outside. From what I could hear an argument was taking place between Pulleine and Durnford as to who was the senior. Colonel Pulleine appeared to give way and I heard Colonel Durnford say “You had orders to draw in the camp.” Alas there was no time for this now as the fighting had already commenced. It is understood that Lord Chelmsford who moved out of Isandhlwana the previous day, to attack Matyana and a Zulu force twelve or fourteen miles off, left explicit instructions for the Isandhlwana camp to be drawn in by Pulleine, who was in command until the arrival of Colonel Durnford. I can never understand to this day why this was not done. The advice to form laager in every camp, when campaigning against Zulu, had been told and retold to the British by the Boer advisers over and over again. It was the old, old mistake of under rating an enemy that had been made by the British before and also the fatal mistake at Isandhlwana. I am of the opinion and what I say was confirmed at Rorke’s Drift, that had a laager been formed at Isandhlwana with the wagons, boulders, boxes etc., we could have withstood the Zulu armies at any rate until such time as reinforcements arrived. After leaving Pulleine’s tent we rode back and Colonel Durnford gave orders that full ammunition was to be issued. It may here be mentioned that the native Contingent were armed with rifles to the extent of one to every ten men, that remainder carrying assegais and shields. The newly arrived troops were in action a very short time after their arrival in camp. Lieutenant Russell with his Rocket Battery, and who lost his like that day, was ordered to the extreme right and about 200 yards away. It is hard what position the other officers occupied but we were all in a line on the first ridge of Isandhlwana and by the time these dispositions had taken place there was a force of some 2,000 Zulu steadily advancing about 700 yards off. My first shot at 800 yards went over the enemy and I distinctly recollect the second shot with my sight at 700 yards to have got on the target. This is how I judged the distance of the enemy at the [time] I ran over to Barton and asked him to let Colonel Durnford know that a large force of the enemy was in front of us. He pulled out his pocket book, wrote down the message and sent it over by a native messenger. Barton then suggested that we close up our forces, which we did, and the firing now became general. The Zulu Impis continued their steady advance, splendidly their savages pressed forward and when within 300 yards the native Contingents began to waver and bolted. When we came within sight of the ravine separating the flat from the hill I found that our companies were the last to bolt, and that the whole of our forces had retired to this position and were still there when we arrived. The one exception being Lieutenant Roberts of Pinetown who had managed to get his men into a cattle Kraal on the ledge of the ridge. I heard subsequently that this officer and his men had been shelled by our Artillery and that Roberts met his death as a result of this blunder. Our Artillery fire was erratic owing to the fact that the guns had not been unlimbered and were on the carriages to which the horses were naturally excited and became unmanageable. The ammunition by this time was running very short. I rushed back to camp to get further supplies. This took time as in those days the ammunition boxes lids were screwed down with nine screws and unlike the present day box which is never easily opened. On returning to my post with the ammunition box, assisted by [one] of my Indunas whose name was “Intini” and who lost his life shortly after, I noticed that the whole of our force was retiring on to the camp in the face of the enemy, who were in crescent formation, the horns being thrown out well to the left and to the right. The first man to come up to me was Charlie Raw who said “Stafford where is your horse?” I replied that I had left it tied to the wagon. He said “You had better get hold of it as it is all up with us. There appeared to be no one in command. Colonel Durnford had been killed. The only orders that I heard given out at the camp were by a young Imperial officer of the 2nd 24th Regiment who was endeavouring to rally the remnants of his men and actually got them into some sort of formation. It is well known that in every camp there are a number of non-combatants, and men on the sick list, who are termed ‘the sick, lame and lazy’. From what I saw afterwards these men quitted the camp when they realised the first danger and we passed many killed who could not possibly have taken part in the fighting. A great many of these unfortunate men were cut up by the encircling movement of the right horn which had now commenced to work round to our rear and cut off any retreat by the Main Road on the side of Isandhlwana. This was the road we travelled when entering the camp earlier in the day. The battle had now developed into hand to hand fighting and small parties of men were selling their lives dearly in the fearfully unequal contest brought about by blundering and incompetence. The silent advance of the Zulus had developed into a quick run, accompanied [by] exultant shouting and the camp was being fast surrounded. There was no hope of escape for the infantrymen, no quarter was expected and none given. It was now a case of every man for himself and a chance was offered the mounted men owing to a gap between two of the Zulu regiments neglecting to make a junction. When attempting to retreat by the road we were forced to verge to the left. It was one of those incredible short spaces in a man’s life which live in his memory. Moments which fill a life time. Thanks to the noble animals we rode to which terror seemed to impart strength and speed we fought our way through and then commenced a race for life over country consisting of dongas and stone, where one would hesitate to travel in ordinary circumstances. The fleet footed Zulu kept at our heels and a small distance gained was temporarily lost owing to the fact that at one of the dongas I came across a wounded man and after several attempts to get his foot into the stirrup iron of my saddle I eventually pulled him up behind me. He has an assegai wound under his arm and was already so weak from loss of blood that I could hardly feel his grip on me. All went well for a few hundred yards during which time he managed to tell me that his name was Young of Lonsdale’s Horse. We were now approaching a wide donga about twelve feet in width and in taking the jump my horse’s hind feet could not have gained a firm footing on the other side and during the horse’s recovery poor Young lost his seat and fell back. By this time the pursuers were were right on us and Harry Davis came up alongside and made a splendid revolver shot putting a bullet through the head of the nearest Zulu. I was carrying a Martini Henri Carbine on my thigh and using it at every available opportunity but I had only seven rounds of ammunition left. Shortly after we came across Lieutenant Erskine who was lying against a rock with an assegai wound through the calf of his leg quite exhausted and unable to proceed further. Opportunely I was able to get Erskine up behind me just in the nick of time. The scene now baffles description. It was a perfect pandemonium. Loose mules and pack horses and oxen, some with ghastly gashes were galloping over the veld at will, some with saddles and others with blinker only. How sad to think what these noble animals are called upon to suffer in their masters’ wars. Fortune favoured us now as a large white horse with a rein round his neck came up alongside us evidently instinct prompted him to seek protection and we were able to catch the charger. The rein was twisted round the lower jaw, as all youngsters who are brought up on a farm learn to do, and Erskine was pleased to have his brave back. The river was banks high as quite to be expected in the rainy months of January. A strange sight greeted us as we got to the edge. Men were struggling in the water. The various uniforms presented all the colours of the rainbow. Half a dozen bodies were washed ashore and [on] the bank at the end of the river on our side. This confirmed my opinion that those non-combatants left the camp when the first danger was noticed. The bank of the river that we came to was very steep, rugged and bushy and to the best of my recollection there was [a] narrow flat on this side running into a Krantz higher up. The remnant of our men were gathering there. I noticed the late Joseph Lester amongst them. He was an old Pondal and trader from my part of the world and he and I were well acquainted. Old Lester was very excited and could not swim. I advised him to go up to where the current was not so strong and that directly my horse got into the water I would slip off its back and catch hold of its tail and be towed to the other side and advised him to do the same. By this method all those who could not swim were safely brought across the river. I think there were thirty-three in all. When slipping off the back of my horse as it got into the river I noticed that he had an assegai wound about 6 inches from the crupper staple of my saddle and was bleeding profusely. How he got the wound and when, I have no idea, unless the assegai was thrown when poor Young fell off into the donga. It may be of interest to the Botha family of Greytown to learn that my horse was purchased from a Mr Botha of Krantzkop, the horse ridden by Davis was bred by my late father Edward Stafford of Stafford’s Post near Harding, Natal, bred by a stallion purchased from the late Thomas Foster of ‘Stainton’ Ixopo, Natal. The only Imperial Army officer with us who escaped was Captain Essex of the 2nd 24th Regiment and one of the Mounted Infantry men who ran all the way and kept up to us. He was gifted with marvellous staying power. It was here decided to climb to a very high point which was as high as the hills on the opposite side of the river. There was no sign of the enemy, who, evidently finding that we had out paced them, either made off to intercept another party or returned to participate in the looting of the camp at Isandhlwana. Had it not been for the late Charlie Raw’s advice, to whom I owe my life, I would certainly have suffered the fate of those whom lost their lives there. I had no intention whatever of looking for my horse as I never dreamt of the danger I was in being inexperienced and firmly convinced, from what had been drummed into me since I was a child, that the British soldiers were invincible and ~I thought that a stand would be made. After Fugitives Drift had been negotiated a consultation took place. We placed ourselves under Captain Essex’s command. Our arms consisted seven rifles and 33 rounds of ammunition and it was decided to make for Helpmakaar, where we formed a laager and stood to arms all night. We know nothing about [the] Rorke’s Drift fight and were fully under the impression that the Zulus had followed up the victory and were making their way to Maritzburg. At daybreak, therefore, when Captain Essex called for volunteers to take the news to Maritzburg, the ride was looked upon as one of great danger, I volunteered my service on the condition that I was allowed the service of companion Harry Davis. Both of us were from the Harding district. We started off on our long ride which was to take us 24 hours, and we rode hard and fast. At Mooi River (Natal) we meet Major Grenfell with a party of Engineers, whom we acquainted with the bad news. He gave me a letter to Sir Bartle Frere stating that he knew me personally and that thorough reliance could be placed on what I said. He provided two fresh horses for Davis and myself and a warrant empowering me to commandeer what other horses we require en-route. We once more hit the breeze for Maritzburg. At Barrups Hotel we changed horses again and pushed on to Greytown where the Magistrate provided the needful in two fresh horses. After a hearty meal and a refresher at Mrs Plants Hotel we pressed on. At Seven Oaks we woke the post cart stable boys and took out two cream post horses to ride leaving the other two at the Post Cart Stable. The creams were not a success under the saddle so we changed them at Umgeni for two other mounts one, of which we commandeered from an old Kehla (ring headed native) at the bridge, whom we told to at the Plough Hotel in Maritzburg where he would be rewarded. It was at day break, tired and dead beat that Maritzburg was reached and we arrived at Government House when the native was preparing to light the early morning fire. I woke up the Hon. W. Lyttleton and handed him the despatches, who led us up to Sir Bartle Frere’s room. After the detailed description was given by us we were instructed to go to our hotel and not say a word. In those days the post or mail Cart ran from Maritzburg to Kokstad and passed through my father’s farm ‘Stafford’s Post’ and as I met Baartman Uys the driver of the Cart, I asked him when passing to tell my people that we had met with disaster and that Harry Davis and myself were well, he must have told this to one or two of his friends as the news spread like wild fire. The whole of Natal that evening was in a state of panic and those people who possessed conveyances left the Natal Capital, and fortifications and barricades were erected in the centre of the town. On Lord Chelmsford’s arrival a few days later Davis and I were sent for and closely questioned for an hour and we left the following day to join our respective units. About 9 months after the Zulu War I received [a letter] from Sir Garnet Wolsley in which he told me that he had received a letter from Lieutenant Erskine giving him an account of how I had saved his life and that I should receive some recognition for any service. I regret to say that I ignored his letter and nothing further transpired. Later I handed this document to a Mr Coter of Kokstad, a friend of our family and some months later he informed me he had lost it. The last I saw of Lieutenant Erskine was at Helpmakaar lying in some biscuit boxes. He thanked me and said when I found him and picked him up on the veld he was praying for a merciful death. Those are passing moments in the lives of men which endear them to one another. I have now stated my experiences as a lad of 20 years. I subsequently took part in the Basuto War 1880-1881 having before the Zulu War taken part in the Griqua Rebellion at Kokstad in 1878. In conclusion I would like to add that the gifts of farms to those who took part in the Zulu War never materialised. This is to certify that Mr W. H. Stafford joined the Natal Native Constabulary under my command as a Lieutenant and that in consideration of his zeal and the efficient manner he discharged his duties in assisting in organising the N.N.C. Regt. he was promoted to a Captaincy and placed in command of the Amangwana Tribe. He was detailed to accompany Colonel Durnford into Zululand and was present at the battle of Isandhlwana and I am pleased to state that it has been reported to me that he has fulfilled the trust which I placed in him in promoting him, as he acted with Heroism in saving the life of his Lieutenant W. Erskine who was wounded and whom he carried out to safety behind his horse. 1st Bat. 1st Regt. N.N.C. David, thank you for posting a most interesting account of the Isandlwana disaster. I wonder if it has been analysed by specialist Zulu War historians? If so, has it been accepted as accurate by the experts? Records of this battle have been examined so often and in such detail one might expect that no controversies about it remained. However, I suspect that there are some issues that have still to be settled. PS I have long hoped that the Zulu War medal awarded to another Isandlwana survivor, Trooper Charles Stretch of the Buffalo Border Guard, would find a home in my collection. He was the brother of my paternal great grandmother, Annie Sarah Stretch, the wife of Albert Elkington, who was the Gaoler at Msinga at the time of the battle. 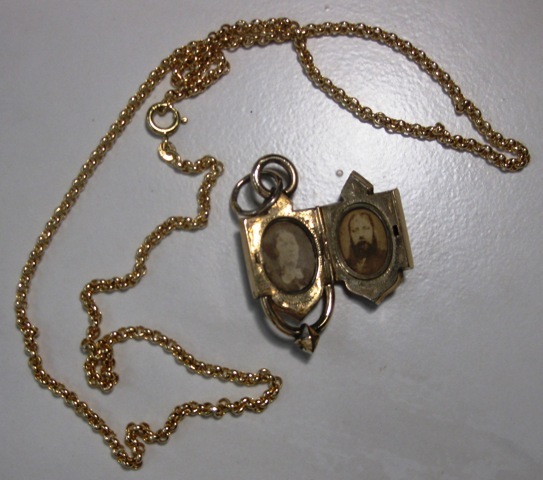 Their faces are to be seen in a locket that is now being worn by my wife. The pair to Stafford started bidding at £16,000 and finished at £22,000. This is an interesting account from Stafford, especially the statements relating to the Zulus attacking Natal and the two native women, British subjects. Most accounts accept that Cetshwayo was accepting of his British neighbours and the belligerence came from Frere and Chelmsford. The ultimatum has been for many years considered impossible to meet and the British even invaded before the expiry of the ultimatum. I am aware of no account by any historian which suggests Cetshwayo was 'itching to drive the white man into the Sea'. Stafford's account shows the effectiveness of the propaganda from Frere and Chelmsford who were set on war with the Zulus. Even when Stafford wrote this in 1938 histories of the war e.g. Coupland, disagree with his opening paragraphs. Bishop Colenso had roundly condemned the war shortly after the cessation of hostilities and most of Natal realised the duplicity of Frere. I am surprised that Stafford seems to be unaware that Frere was recalled to London in 1880 and officially censored for acting recklessly. Still we believe what we want to.